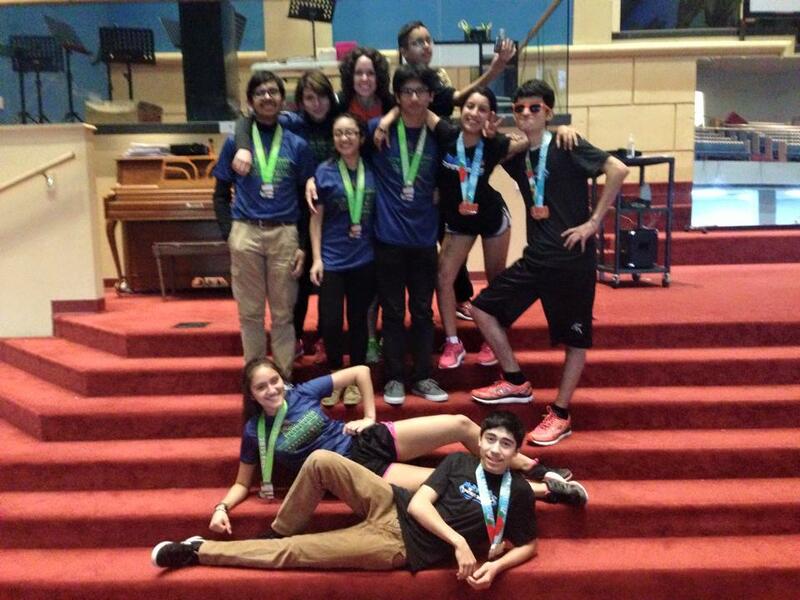 Natasha with her East Austin College Prep students after the 2015 Austin Marathon. Natasha MacNevin was a first year coach at East Austin College Prep for our 2014-2015 season. I remember what it was like to train for and run my first marathon. I had never been a runner and doubt was always in the back of my mind as to whether I could really do it. The short version of the story is that I followed a plan, listened to those who had already done it, and before I even realized it I was ready for the race. It wasn’t just about race day though. All of the training runs leading up to it, all of the times I wanted to quit but I didn’t, all of the injuries, all of the courage that it took to get to the starting line: I had found out what I was truly made of and what I was capable of. Running changed my life. And when I heard about Marathon High, and that there was an opportunity to be able to help middle and high school kids train for and run the Austin half and full marathon, I knew I wanted to be a part of it! Watching the students go through exactly what I had gone through and make it to the other side was incredible! A lot of our students couldn’t even run more than 10 minutes at our first practice! 26.2 miles and 13.1 miles seemed SO far (and it is!). But they listened to us, trusted us, and followed us. Little by little, they started to see their own improvement and believe in themselves! When one of them was feeling down or needing a little encouragement, the rest of the group would work to pick them up. And we could see the energy and excitement start to build when our school would join up with all of the other schools on Saturday long runs at Rogue. During this year’s coaching season, our Marathon High kids inspired me to push myself, believe in myself, and support my fellow Rogues. I watched them each week push through difficulties and nurse injuries. I also watched them improve! Sometimes they didn’t even realize how far they had come and seeing the smiles on their faces when we told them how proud we were made me realize how strong we all are when we’re together! All of us were surprised when time had flown by so fast and it was time for the Austin Marathon! As we all gathered at the starting line their nervous questions started flying through the air. As we cheered for them from the sidelines they stood up a little taller and their tired expressions turned into beaming smiles. And as they crossed the finish line I couldn’t help but cry with each one of them as they had accomplished something they never thought they could do! When we were all back at school the next week taking pictures with their medals, you could tell something had changed in them. They were proud. They were happy. They had done it! And they were already asking us about the plan for next year. Marathon High is a truly remarkable program that not only works to train middle and high school kids for the half and full marathon. It is a program that helps kids find out what they can achieve if they put in the work and believe in themselves. It was amazing to see in the kids the same light I saw in myself when I crossed my first finish line. That is what keeps me running. And that is what makes me want to continue coaching. These kids are finding the light in themselves and the light there is in the world. They know now that they have finished a marathon, they can do anything!